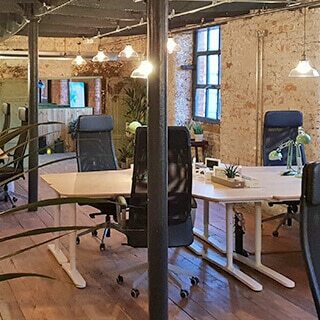 We opened our first loft in Manchester’s Ancoats in 2014. We now have 7 lofts across Beehive Mill, with more in the works. Each of our lofts differ in what they offer, but our goal has always been the same: to create a comfortable and productive home from home for our members. Our flagship Upper Loft on the top floor of Beehive Mill is a breathtaking feat of 19th Century architecture. 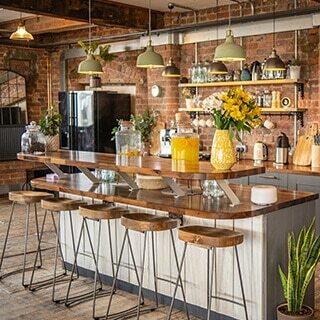 Spacious, naturally lit and full character this inspiring loft space is a treat to work from. Hidden away at the back of the Upper Loft, this space has the greatest and most consistent flood of natural light on a daily basis. Having the least footfall and most windows in the whole building, this is an extremely popular location. In the grade 2* listed wing of the Mill, this warm and cosy loft is located right next to the Upper Kitchen facility and meeting room. Close to the action but an escape from the main loft space. 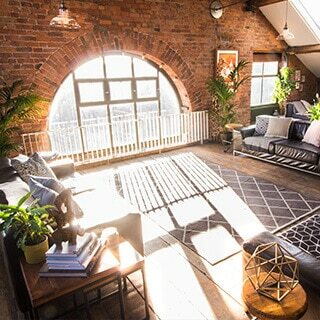 With uninterrupted views of the Peak District, a wealth of space and natural light this is a gem of a loft space. Overflowing with industrial features and adjacent to the Lower Lounge and Kitchen this loft has it all. The Quietest of all spaces, these twin side lofts offer a change in aesthetic with authenticly grungy, but sophisticated surroundings. Offering a beautifully lit abundance of space, within short distance of the Lower Meeting room and lounge, these are the lofts for focus. Our contemporary, but traditionally designed lounges are designed to boost relaxation and provide space to promote new and fresh perspectives. Used for breaks, informal meetings, lunches, events and parties, these are beautiful multi-functional spaces. 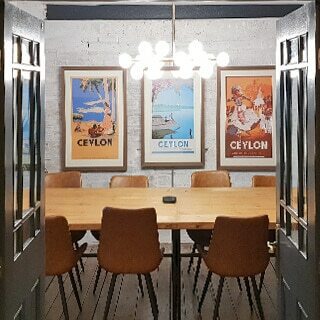 Offering 3 large, 2 medium and 3 private phone booths spaces there is always a space for you to close the door behind you when impressing clients, holding conference calls or taking a quick, private phone call. A huge emphasis has been placed on our fully functional kitchens. Pour some citrus infused water, make a fresh coffee and cook a dinner for your team. With ovens, hobs, complimentary coffee machines and much more these spaces are a treat.